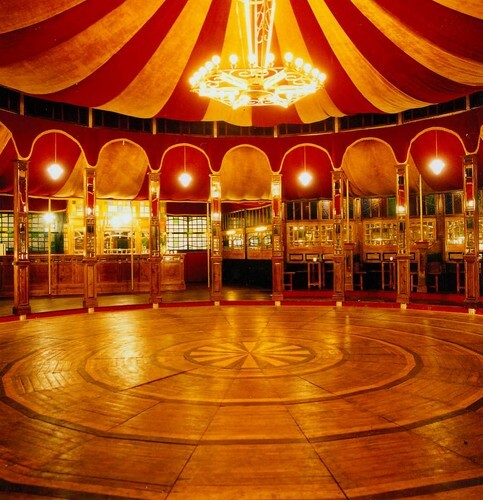 The Melba Spiegeltent, located at the Circus Oz home in Collingwood, was built in Belgium in 1910. It travelled across Europe and saw numerous performances through it's bevelled doors, including Edith Piaf and Kurt Weil in the '20s and '30s. In 2006 it came to Australia and was renamed after one of Australia's fabulous opera soprano, Dame Nellie Melba. The Melba Spiegeltent had its Circus Oz debut in January 2011 with a sell-out season of The Blue Show, our premier season in Melbourne's iconic Midsumma Festival. This beautiful and charming venue brings people together for festivals, rehearsals, shows, arts and community events, corporate and private hire. The Greatest Magic Show Returns! Alex The Magician: in Jaw-dropping 3D! Circus Oz BLAKflip 2014: Corked Up!